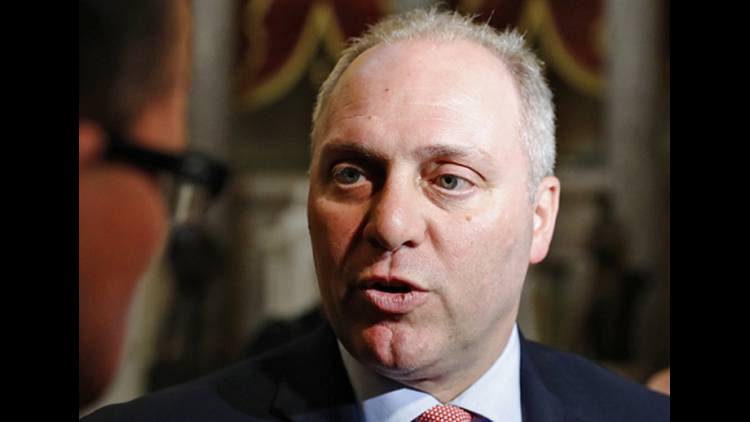 WASHINGTON (AP) — The Washington hospital where House Majority Whip Steve Scalise is recuperating from a gunshot wound says he has been readmitted to the intensive care unit. MedStar Washington Hospital Center says the Louisiana congressman is back in intensive care because of new concerns for infection. Scalise was in serious condition Wednesday night. Scalise and four other people were injured last month when a gunman opened fire on a Republican baseball practice in nearby Alexandria, Virginia. U.S. Capitol Police and other officers returned fire and killed the gunman. The congressman was struck in the hip and the bullet tore into blood vessels, bones and internal organs. He has undergone several surgeries and had been upgraded to fair condition.